I have gleefully finished part 1 through 5 of Channel 9, Windows Phone 8 Development for Absolute Beginners. 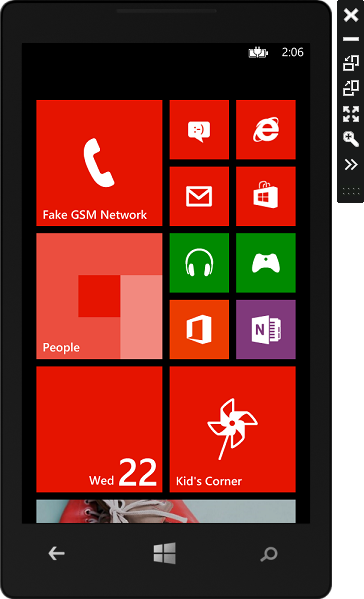 A virtual Windows Phone device. As you install the Windows Phone SDK (SDK 8.0), Microsoft Visual Studio Express 2012 for Windows Phone goes with it, both of which are free. It has a different layout to Microsoft Visual Studio Express 2013 for Windows Desktop, intelligibly. Thence, I now have both. There are system requirements for the former, which are Windows 8.1 Pro (or 8.0 Pro) 64-bit OS and an x86-64 CPU with either AMD or Intel Virtualization (AMD-V and VT-x respectively) and to have the BIOS or UEFI setting of that technology set to enabled) as the Windows Phone Emulator will use Hyper-V hardware virtualization. If you have any Intel Core i3/i5/i7 (nearly all Core 2) or AMD Athlon II, Phenom, Phenom II or FX processor, you are O.K. 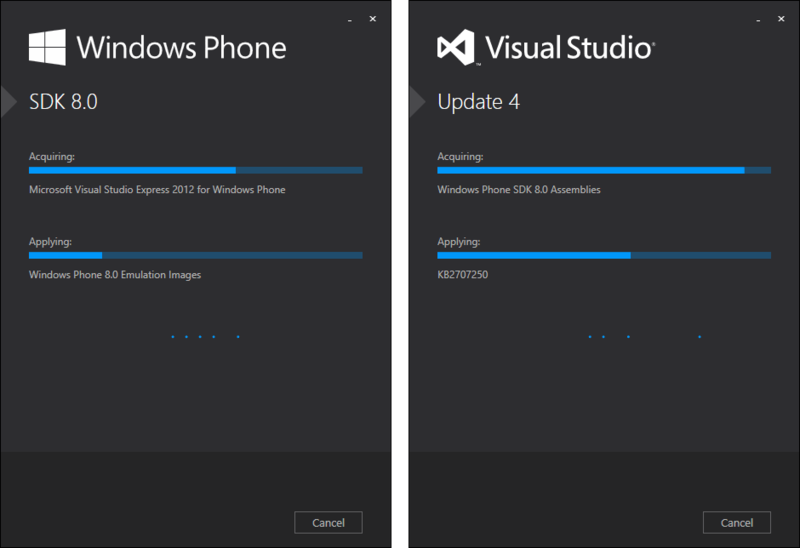 Windows Phone 8.0 SDK and Visual Studio Update 4 installation. XHTML, HTML, XAML, SGML, XML … WTH. My previous knowledge of HTML and CSS, specifically XHTML have been an asset as to grasping XAML. You have Elements and Attributes in XAML too (although termed Objects and Properties), recognizable from XHTML and HTML as well as the familiar syntax and structure. There are subtle differences as well of course, for instance, the lowercase tags of XHTML as opposed to case-sensitive CamelCase of XAML. While HTML is a derivative of SGML and XHTML is a derivative of XML – which is also a derivative of SGML – XAML too is a derivative of XML and the sum of fundamental knowledge of each, does coalesce into a revelation with a newfound grasp on – and an awareness of – markup language, namespaces, procedural programming, declarative programming and well-formedness that I didn’t have prior. Bob Tabor suggested to learn either of HTML vs. XHTML and CSS in the concluding thoughts to the C# Fundamentals: Development for Absolute Beginners series and it is already apparent as to why. XML itself has become increasingly compelling too. Eventually, I’ll do the HTML5 & CSS3 Fundamentals: Development for Absolute Beginners series as well. 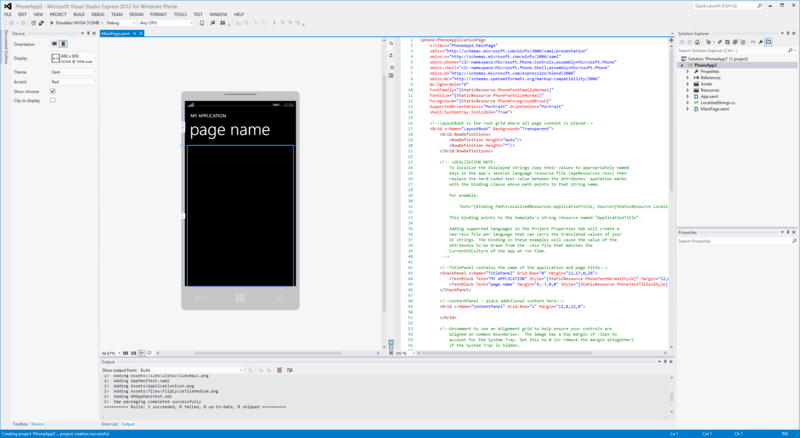 I am enthralled by C#, XAML and Visual Studio. The Integrated Development Environment (IDE). This entry was posted in C# and tagged 64-bit, AMD-V, BIOS, C Sharp, C#, CamelCase, Channel 9, CPU, Development, Emulator, Hardware, HTML, Hyper-V, IDE, Installation, Integrated Development Environment, Microsoft Visual Studio Express 2012, SDK, SGML, Software Development Kit, Technology, UEFI, Virtualization, Visual C#, VT-x, Windows 8, Windows 8.1, Windows Phone 8, WP8, x86-64, XAML, XHTML, XML on 23 January, 2014 by Spiritus et Technologiae.